Designing and creating IoT devices for a connected world opens a number of possibilities for large firms and startups alike. 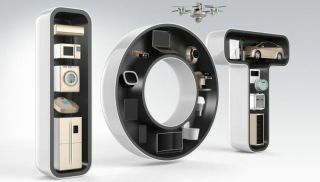 The ‘Internet of Things’(IoT) with is promise of billions of data-yielding connected devices is an inspiring opportunity entrepreneurs are keen to exploit. The pending explosion of intelligent products - smart phones, cars, clothing and home appliances - offers a simpler way of life for consumers. For manufacturers and engineers however, fulfilling this promise means knowing more than ever about a rapidly growing array of...things. And, like creating a great renaissance paining, developing a successful device takes time, patience and focus, and of course, enough funding to see you through. The only other difference in this renaissance is that you need to do it all at speed. In our accelerated world, every step counts as any misstep can quickly become a costly learning experience with all the associated consequences. The firm behind Juicero, a $399 wi-fi connected juicing machine has just announced it is to close, blaming an inability to set up an effective manufacturing and distribution system on their decline. Jaw Bone the fitness tracker start-up once valued at $3bn is also to close its doors, as is Lily the autonomous drone firm who claimed they had been racing against the clock of ever diminishing funds to unlock their manufacturing line and ship their first units. The ‘next big thing’ is just as likely to come from a start-up as from a corporation. However, the Silicon Valley myth that a couple of inventors will go into a garage and emerge with a brilliant technology that captures the hearts and wallets of consumers, ala Jobs and Wozniak or Hewlett and Packard could be unrealistic. Today’s reality is more complex than that. Yet, there are specialist companies you can turn to for help to bring your product from design, to mass production and distribution. Firms like Flex, a giant Silicon Valley design, engineering, manufacturing and logistics company support product development through a collaborative process where cash strapped start-ups can partner to access deeper skills in any aspect of product development. “Any start-up is challenging, but when you add the element of hardware, it adds a layer of complexity that you might not otherwise have had. If hardware goes wrong, it can be expensive to correct, so having the right support network in place is critical. An experienced partner can help you overcome issues or avoid them altogether”. hereO found that their existing manufacturer was not able to scale production and their management team were deeply involved in the day to day production processes which detracted from other activities like talking to investors, finding marketing partners or opening up new sales channels. Rob Katcher from Hiku Labs, developers of a connected gadget called the Hiku to help busy parents create and share their shopping lists, confirms the specific challenge of hardware development is going from prototype to manufacturing. The company hooked up with a manufacturing partner and immediately slashed its production costs by more than a third. For companies, particularly start-ups who are developing devices, differentiation comes in equal measure from speed-to-market and product functionality. And while the capability IoT offers to device start-ups is exciting and almost infinite in its scope, there are some practical steps you can take to increase your chances of success. In the case of technology for example, Greg McNeil, VP of the Innovation Labs at Flex says "The Internet of Things is as much about the Integration of Things as anything else." Bob Groppo, VP of Design and Engineering at Flex adds "Rapid technology evolution, coupled with Moore's Law and web technologies, have outstripped our ability to commercialize these technologies at web speed." "It still takes nine months to a year to get new products into the market and much longer for breakthrough technology products. Today's companies tackle this problem in their own walled labs, figuratively reinventing the wheel over and over again." By using modular building blocks - pre¬-characterized reference architectures, standard frameworks, software, and hardware – developers are able to connect smart devices to one another and the cloud in hours instead of months. Creating breakthrough products becomes a game of stacking blocks. Some stacks are complicated and need delicate balance. Others fit together more simply and are easy to manipulate into a variety of new shapes. This building block approach is what chip makers use today after silicon chip designers realized they were unable to keep up with the growing complexity of the chips. The same innovations happened in software development with service-oriented architecture, when the world moved away from single-point solutions to standardized operating environments, development, test frameworks and well-defined interfaces. McNeil’s team at Flex have catalogued more than 200 building blocks that can be combined in various ways to make things smarter, from a battery-recharging technology activated by use of the battery itself, to an iris-¬detection tool and "glasses-free" 3-D.
Their engineering group is organised into Centres of Excellence around particular specialisations or ‘blocks’ including Sensors and Actuators, Human-Machine Interface, Wireless and Connectivity, Low-Power Battery Management, Smart Software, and Flexible Technologies including washable electronics for use in fashion and safety clothes. Flex's IP lies mostly in how the company puts the building blocks together. This way, its technology gurus can drive breakthroughs for customers while at the same time promoting an open industry-wide collaboration. Simply put, the innovation is less about the bricks you own and more about the things you make with those bricks. "At Flex's Innovation Labs, anyone can see these ideas at work," McNeil says. "It is not about patents and technologies but about the people, process and proof of success that make this the platform of choice for product innovation." Who knew that the key to setting the world on fire with your next device has nothing to do with hardware and everything to do with how you get from, what Flex calls ‘Sketch-to-Scale™’ ?